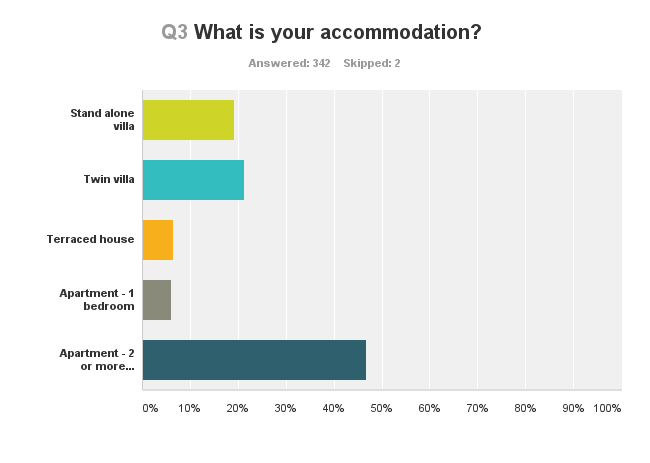 To those of you that took a moment in the other week to answer my quick survey about house rent, thank you very much! Over 31% of those people who responded on the survey indicated that they were happy with their house, but wanted to renegotiate their rent, and an additional 15.5% of respondents stated they were not happy and wanted to move. Which means if you are an estate agent, business should be steady for the next little while as people look to move houses - nearly half of all of those who responded to the survey in total. It seems that once people find a place they like, they stay where they are. People who move every year are not too common in this market. 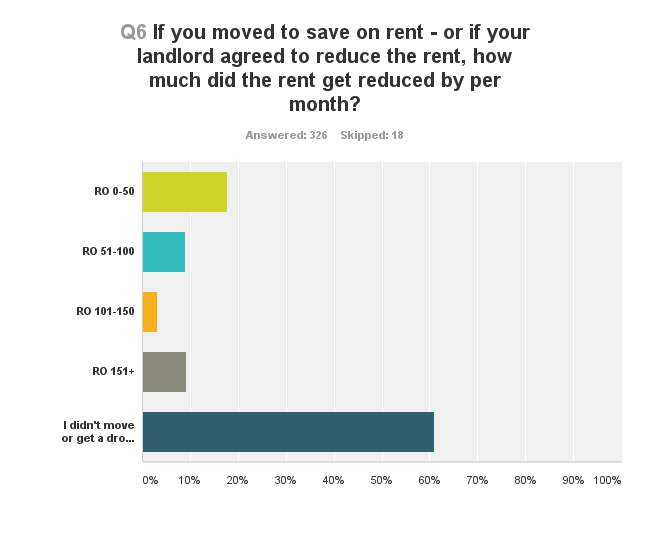 This is what I was saying at the start of this article, some 46% of people who responded to this survey have indicated that they want to move, or reduce their rent. Landlords should take notice! So when I moved to Muscat in 2007, a villa in MQ (one of those old ones) was going for about RO 1,200 a month at the time - even though some people are still paying this. I remember thinking I was lucky to find a 3 bedroom double-apartment penthouse thing for RO 550 a month at the time. Seems prices have cooled off from those days, but I was surprised to see so many people paying more than 1250 a month. Perhaps they are mortgage payments? 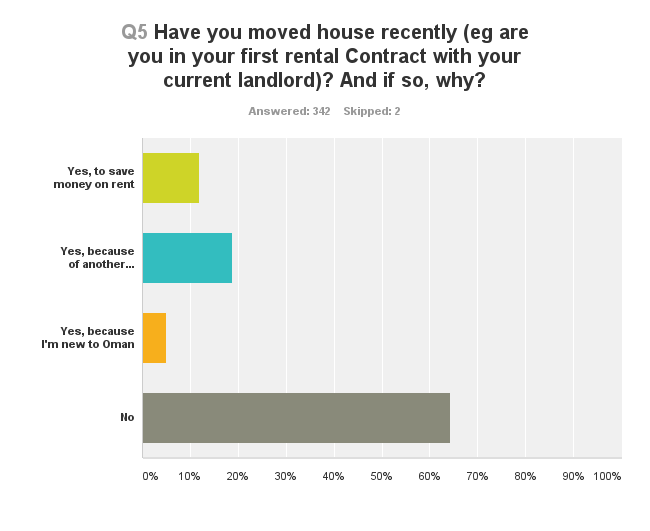 So most people, when comparing back to people who want to renegotiate their rent or move, haven't yet. 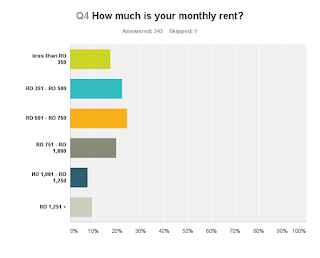 As those negotiations happen in the coming months, I wonder if the rental market will depress even further? 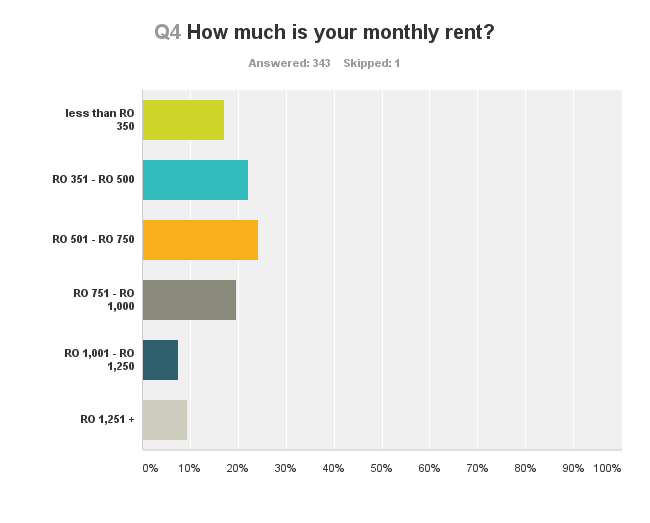 I'd say the market forces are there to drop rents lower still. Even RO 50 a month is RO 600 a year - and those who saved RO 150 or more, that is a significant annual saving too. Gone are the days of those crazy rents - I still know people who are paying RO 1200 for 15+ year old villa's in MQ - crazy. 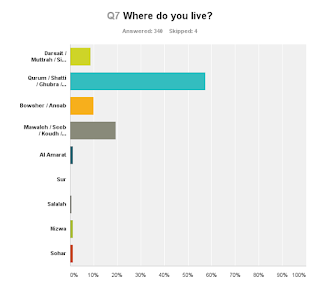 So if you are a landlord in Qurum / Shatti / Ghubra / Azaiba / Khuwair, expect your rents to be lower than they were before, as it seems about half of the people living in these areas are unhappy with their rent. If you live in these areas - shop around, you might just find some great deals. 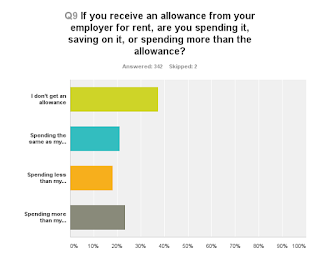 This one surprised me that so many people don't get a housing allowance - most employers like to give housing allowances as a way to increase salary without having to pay gratuity on it. No real surprise there I guess. 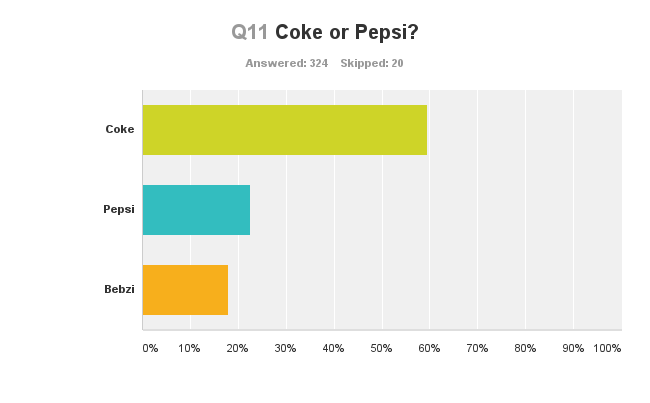 Coke for me too, but it seems Pepsi is advertised here more often. Perhaps that is why, as Coke is better! 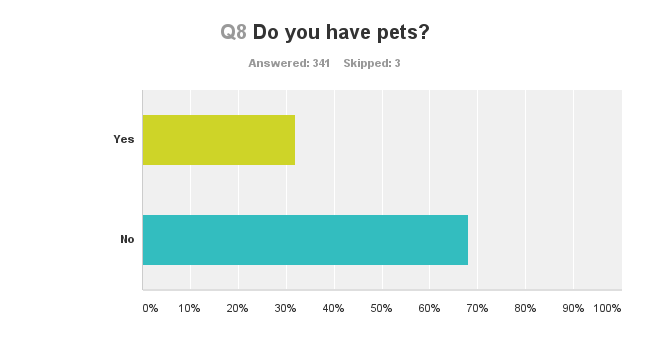 Well... there we go - a pointless little survey - hopefully I can negotiate a rental decrease with my land lord! Good insights on the housing situation in Oman. 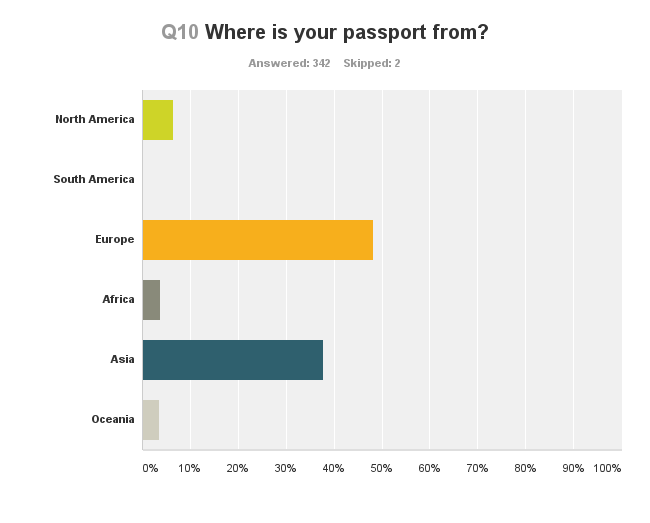 Thank you for taking the time to do this survey and sharing the results with the rest of us.